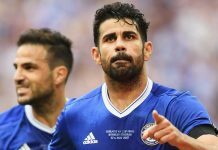 Saturday evening, Chelsea took a trip to the Emirates to face Arsenal and left with the proverbial bloodied nose. A 3-0 defeat sent the Blues back to West London having endured a heavy defeat in which they were clearly the second-best team on the day. 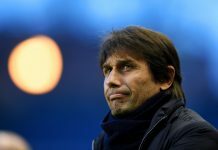 The defeat itself isn’t the real problem, rather the manner of the defeat is the most concerning, and it leaves manager Antonio Conte with a lot of questions as the season progresses. Perhaps the failures of last season weren’t completely Jose Mourinho’s fault. 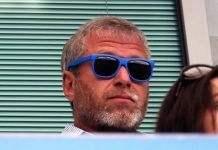 Last season’s failures were a collective effort, but the blame for the weakest title defence in Premier League history fell on the shoulders of Mourinho, and he paid for it with his job. 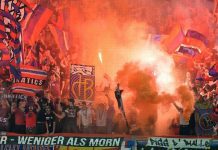 There were suggestions that the manager had lost the players’ faith, and as a result, some of them looked as if they had downed tools for the Portuguese manager. 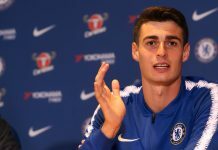 A revival of sorts took place in the second half with the arrival of Guus Hiddink, but there was still a bit of a lingering doubt about where the players’ minds were and questions about their mental strength when things weren’t going to plan. All of those questions have been brought back to the forefront after the defeat to Arsenal, leaving supporters and observers to wonder if the mentality of the squad isn’t right regardless of who the manager is. 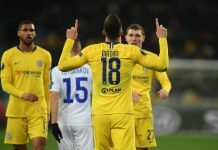 Most telling were the post-match comments from Branislav Ivanovic, who captained the side in the absence of John Terry, where he suggested that the players didn’t believe in what they were doing at the start and were punished. That’s quite an indictment of the players, particularly given the glowing praise Conte has received from some of his former players. Andrea Pirlo’s gone on record saying that while the tactical and video sessions were long, Conte had a knack for predicting exactly how a match would unfold. For the players to abandon the tactical plan so easily explains Conte’s downtrodden and almost subdued demeanor on the touchline Saturday night, but also tells you a lot about this team’s mentality. Seemingly, when things don’t go the way they want, all the belief is sucked out of them, and they let their doubts affect the way they perform. In seasons past, the spine of Terry, Petr Cech, Frank Lampard, and Didier Drogba had the personality and the drive and belief to make sure that heads didn’t drop, but unfortunately that leadership void has yet to be filled by this current group of players. If Conte can’t find a way to bring some of that belief back to the squad, most likely he’ll find his job under pressure, despite it being clear that this squad needs a rebuild. 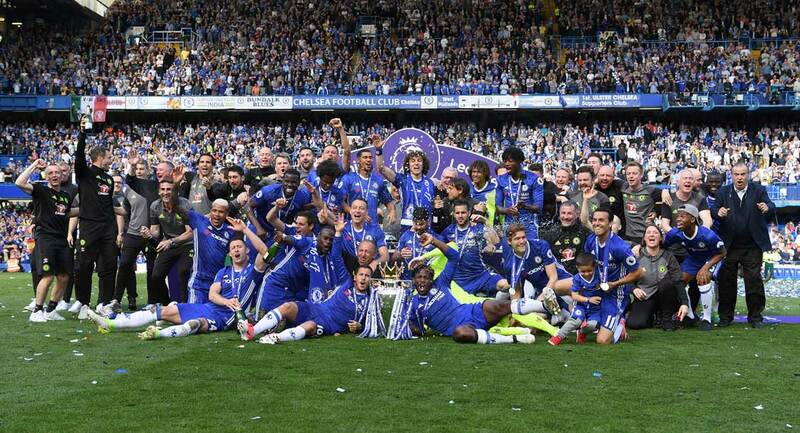 John Terry’s importance to the team goes far beyond his actual performances. 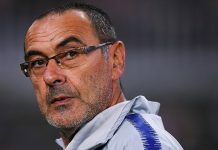 You don’t expect a team with high expectations to have to rely on their 35-year-old centre back that they tried to discard after last season, yet that’s precisely the situation that Chelsea find themselves in at the moment. In the absence of John Terry, David Luiz and Gary Cahill started at centre back, and it’s proven to be a bit of a disaster. The noticeable effect of Terry’s absence is the lack of organisation of the side. Over the years, Terry has proven to be a tremendous communicator and marshals a defence as well as any centre back in history. 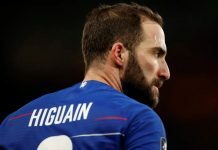 Throughout his Chelsea career, whenever the Blues’ skipper has missed out due to injury, the number of goals per game is higher when he does play compared to when he does play. 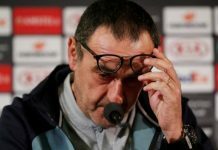 This season, Chelsea have conceded seven goals in their last three matches, and the Chelsea defence has looked rudderless and sometimes clueless without him. The perfect example is Arsenal’s third goal where both Cahill and Luiz got sucked towards Alexis Sanchez, practically standing on top of one another, and allowed Sanchez to pick out Mesut Ozil at the far post. It’s not as if Cahill and Luiz haven’t played together. In the Champions League final in 2012, the pair put in a terrific performance, and in the 2012-2013 season, they were often picked together in the second half of the season when interim manager Rafa Benitez elected to limit Terry’s minutes on the pitch. It is worth noting, though, that Petr Cech was the goalkeeper, and at that time, he often organised the set pieces and the defence in the absence of Terry — something that current goalkeeper Thibault Courtois isn’t effective at doing. 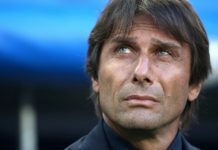 Antonio Conte needs to find his best combination in midfield and fast. One thing that’s been clear in the first matches this season, and really showed against Arsenal, is that Conte hasn’t quite settled on how he wants to set up his midfield. It’s really quite an interesting conundrum, because his most common setup is playing Nemanja Matic alongside Oscar with N’Golo Kante behind in a holding role. That formation has provided a lot of solidity, but has a tendency to not create chances or link the defence to the midfield. Conversely, when you add that type of player to link play in Cesc Fabregas, he has a number of deficiencies when not in possession that are simply magnified when he can’t get on the ball. Against Arsenal, Fabregas didn’t really see much of the ball and was quite rightly hooked in the second half, though how much of that was his fault is debatable. Matic seemed to be the one driving the play forward from the midfield with Fabregas occupying space behind Diego Costa, but that really doesn’t play to the strengths of either player. 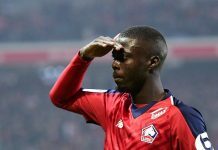 Complicating matters even further is that Kante, the holding midfielder, started to make forays forward, even sometimes making runs into the box for crosses. That’s not necessarily what you want from your holding midfielder, but it does beg the question of whether a formation change could be needed. Last season at Leicester, Kante played a much more adventurous role in a 4-4-2, and it appears that neither he nor Matic are particular adept and just sitting and holding position. 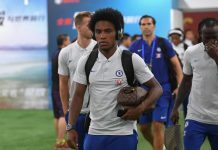 With the signings of Luiz and Marcos Alonso, combined with the return of Kurt Zouma from a long-term injury, a switch to a back three is an option going forward, but it’s one that Conte will need to give a lot of thought, particularly since the newest problem will be how to select his more attacking three from Eden Hazard, Willian, Oscar, Costa, and Michy Batshuayi.